The research process and libraries' evolving role, featuring the seminal post "In the Flow"
Libraries, archives, museums, and galleries as "memory institutions"
The book concludes with a selection of favorites hand-picked by Dempsey himself. As one university librarian put it, Dempsey's "dual ability to explore an issue and to reveal the higher-order trends is spot-on for understanding our volatile environment." That unique and thoughtful analysis is on full display in this book. Lorcan Dempsey oversees the research division and participates in planning at OCLC. He has worked for library and educational organizations in Ireland, England, and the US. He has written and spoken extensively on policy, research, and service development, and in the areas of networked information and digital libraries. He can be followed on the web at Lorcan Dempsey's weblog and on twitter. Before moving to OCLC Lorcan worked for JISC in the UK, overseeing national information programs and services, and before that was Director of UKOLN, a national UK research and policy unit at the University of Bath. Before moving to the UK he worked in public libraries in Dublin, Ireland. Kenneth J. Varnum is the Senior Program Manager for Discovery, Delivery, and Library Analytics at the University of Michigan Library. In this role, Ken is responsible for the library's discovery interfaces (the "MLibrary" single search tool, ArticlesPlus, Search Tools, etc. 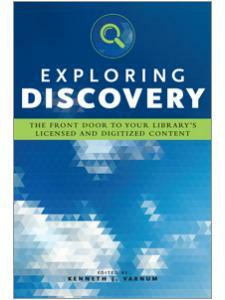 ), delivery interfaces, and the library's evolving and emerging analytics infrastructure. He received a master's degree from the University of Michigan's School of Information and his Bachelor of Arts from Grinnell College. Over his two decades working with public-facing technology in academic, corporate, and special libraries, he has gained a deep appreciation and understanding of the need to tailor systems and interfaces to the local user base. 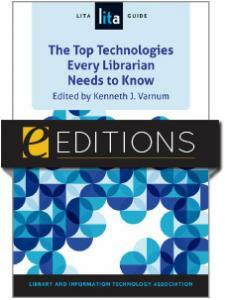 A frequent speaker and author, Ken presents and writes about discovery systems, library analytics, and technology. In addition to numerous articles and chapters, he wrote Drupal in Libraries (2012), edited Lorcan Dempsey's The Network Reshapes the Library (2014), and compiled four books, including Exploring Discovery: The Front Door to Your Library’s Licensed and Digitized Content (2016), Beyond Reality: Augmented, Virtual, and Mixed Reality in the Library (2019) and the LITA Guide New Top Technologies Every Librarian Needs to Know (2019). He blogs at rss4lib.com and can be found on Twitter at @varnum. "Dempsey thinks web-scale. His breadth of interests and his ability to outline appropriate organizational responses in the 'Amazoogle' age make this a compelling read ... Recommended? Yes, for all of us, because the network has reshaped the library." "Future students of library history are not the only audience for this book. Dempsey's posts can serve as a starting place for new professionals who wish to understand how the library environment has shifted over the past decade. 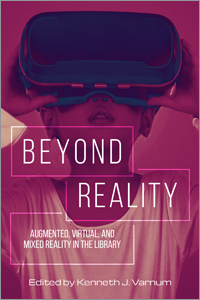 The content will suit students who need to develop a better understanding of how otherwise theoretical concepts have been operationalized in the library setting … it is likely that practicing librarians, library students, and scholars of early 21st century technology will all find value in this book." 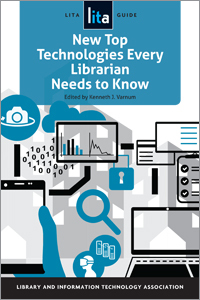 "Library technologists, administrators, and visionaries will find plenty of ideas in every few pages upon which to ruminate in between readings." "Dempsey's uniquely extrapolative approach to discussing topical issues means that even out-of-date posts have an enduring relevance. Similarly, his ability to fix themes into memorable and intuitive terminology makes this compendium thought-provoking even when the technology under discussion has obsolesced. This collection takes a step towards structuring how the library world understands Dempsey's legacy of influence and his numerous contributions to the field."